In Part Seven – Resolution & Convection we looked at some examples of how model resolution and domain size had big effects on modeled convection. One commenter highlighted some presentations on issues in GCMs. As there were already a lot of comments on that article the relevant points appear a long way down. The issue deserves at least a short article of its own. The leapfrog is dead. Long live the leapfrog! Various papers are highlighted in these presentations (often without a full reference). Figure 3a shows the evolution of X for r =19 for three different time steps (10-2, 10-3, and 10-4 LTU). In this regime the solutions exhibit what is often referred to as transient chaotic behavior (Strogatz 1994), but after some time all solutions converge to a stable fixed point. Depending on the time step used to integrate the equations, the values for the fixed points can be different, which means that the climate of the model is sensitive to the time step. In this particular case, the solution obtained with 0.01 LTU converges to a positive fixed point while the other two solutions converge to a negative value. To conclude the analysis of the sensitivity to parameter r, Fig. 3b shows the time evolution (with r =21.3) of X for three different time steps. For time steps 0.01 LTU and 0.0001 LTU the solution ceases to have a chaotic behavior and starts converging to a stable fixed point. However, for 0.001 LTU the solution stays chaotic, which shows that different time steps may not only lead to uncertainty in the predictions after some time, but may also lead to fundamentally different regimes of the solution. These results suggest that time steps may have an important impact in the statistics of climate models in the sense that something relatively similar may happen to more complex and realistic models of the climate system for time steps and parameter values that are currently considered to be reasonable. The results depend on the time step we have used to solve the set of equations. In the weather and climate prediction community, when thinking in terms of model predictability, there is a tendency to associate model error with the physical parameterizations. In this paper, it is shown that time truncation error in nonlinear models behaves in a more complex way than in linear or mildly nonlinear models and that it can be a substantial part of the total forecast error. The fact that it is relatively simple to test the sensitivity of a model to the time step, allowed us to study the implications of time step sensitivity in terms of numerical convergence and error growth in some depth. The simple analytic model proposed in this paper illustrates how the evolution of truncation error in nonlinear models can be understood as a combination of the typical linear truncation error and of the initial condition error associated with the error committed in the first time step integration (proportional to some power of the time step). A relevant question is how much of this simple study of time step truncation error could help in understanding the behavior of more complex forms of model error associated with the parameterizations in weather and climate prediction models, and its interplay with initial condition error. Another reference from the presentations is Dependence of aqua-planet simulations on time step, Willamson & Olsen 2003. What is an aquaplanet simulation? In an aqua-planet the earth is covered with water and has no mountains. 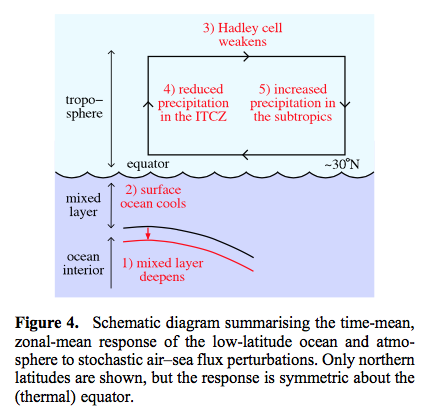 The sea surface temperature (SST) is specied, usually with rather simple geometries such as zonal symmetry. The ‘correct’ solutions of aqua-planet tests are not known. However, it is thought that aqua-planet studies might help us gain insight into model differences, understand physical processes in individual models, understand the impact of changing parametrizations and dynamical cores, and understand the interaction between dynamical cores and parametrization packages. There is a rich history of aqua-planet experiments, from which results relevant to this paper are discussed below. They found that running different “mechanisms” for the same parameterizations produced quite different precipitation results. In investigating further it appeared that the time step was the key change. 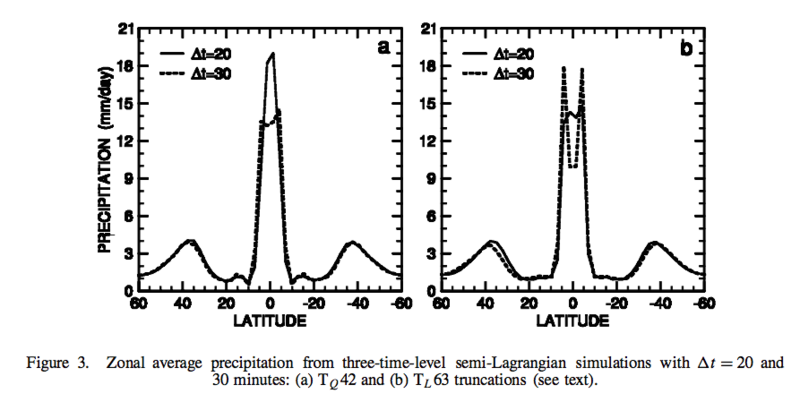 When running the Neale and Hoskins (2000a) standard aqua-planet test suite with two versions of the CCM3, which differed in the formulation of the dynamical cores, we found a strong sensitivity in the morphology of the time averaged, zonal averaged precipitation. The two dynamical cores were candidates for the successor model to CCM3; one was Eulerian and the other semi-Lagrangian. They were each con􏰜figured as proposed for climate simulation application, and believed to be of comparable accuracy. The major difference was computational ef􏰜ficiency. In general, simulations with the Eulerian core formed a narrow single precipitation peak centred on the equator, while those with the semi-Lagrangian core produced more precipitation farther from the equator accompanied by a double peak straddling the equator with a minimum centred on the equator..
..We do not know which simulation is ‘correct’. Although a single peak forms with smaller time steps, the simulations do not converge with the smallest time step considered here. The maximum precipitation rate at the equator continues to increase.. ..The significance of the time truncation error of parametrizations deserves further consideration in AGCMs forced by real-world conditions. The idea behind the experiment is that increasing freshwater fluxes at high latitudes from melting ice (in a warmer world) appear to impact the strength of the Atlantic “conveyor” which brings warm water from nearer the equator to northern Europe (there is a long history of consideration of this question). How sensitive is this to random effects? In these experiments we also include random variations in the zonal wind stress field north of 46ºN. The variations are uniform in space and have a Gaussian distribution, with zero mean and standard deviation of 1 dyn/cm² , based on European Centre for MediumRange Weather Forecasts (ECMWF) analyses (D. Stammer 1996, personal communication). 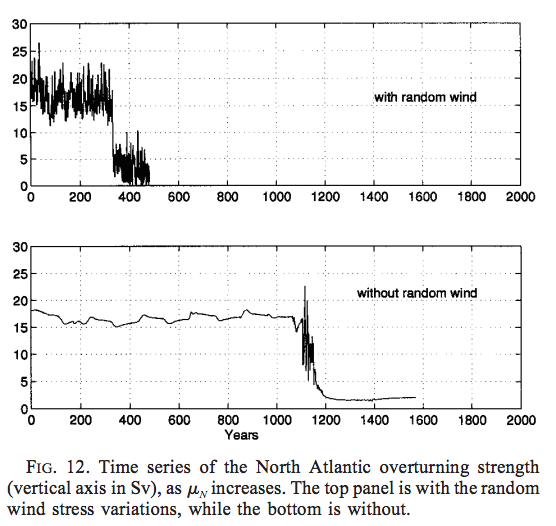 Our motivation in applying these random variations in wind stress is illustrated by two experiments, one with random wind variations, the other without, in which μN increases according to the above prescription. 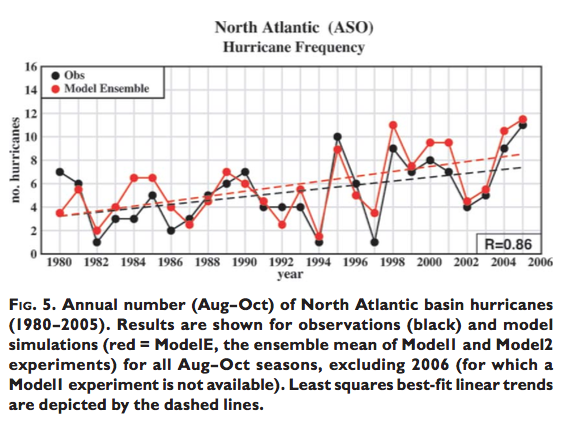 Figure 12 shows the time series of the North Atlantic overturning strength in these two experiments. The random wind variations give rise to interannual variations in the strength of the overturning, which are comparable in magnitude to those found in experiments with coupled GCMs (e.g., Manabe and Stouffer 1994), whereas interannual variations are almost absent without them. The variations also accelerate the collapse of the overturning, therefore speeding up the response time of the model to the freshwater flux perturbation (see Fig. 12). The reason for the acceleration of the collapse is that the variations make it harder for the convection to sustain itself. The convection tends to maintain itself, because of a positive feedback with the overturning circulation (Lenderink and Haarsma 1994). Once the convection is triggered, it creates favorable conditions for further convection there. This positive feedback is so powerful that in the case without random variations the convection does not shut off until the freshening is virtually doubled at the convection site (around year 1000). When the random variations are present, they generate perturbations in the Ekman currents, which are propagated downward to the deep layers, and cause variations in the overturning strength. This weakens the positive feedback. In general, the random wind stress variations lead to a more realistic variability in the convection sites, and in the strength of the overturning circulation. We note that, even though the transitions are speeded up by the technique, the character of the model behavior is not fundamentally altered by including the random wind variations. The presentation on stochastic noise also highlighted a coarse resolution GCM that didn’t show El-Nino features – but after the introduction of random noise it did. I couldn’t track down the reference – Joshi, Williams & Smith 2010 – and emailed Paul Williams who replied very quickly, and helpfully – the paper is still “in preparation” so that means it probably won’t ever be finished, but instead Paul pointed me to two related papers that had been published: Improved Climate Simulations through a Stochastic Parameterization of Ocean Eddies – Paul D Williams et al, AMS (2016) and Climatic impacts of stochastic fluctuations in air–sea fluxes, Paul D Williams et al, GRL (2012). In this study, stochastic fluctuations have been applied to the air–sea buoyancy fluxes in a comprehensive climate model. 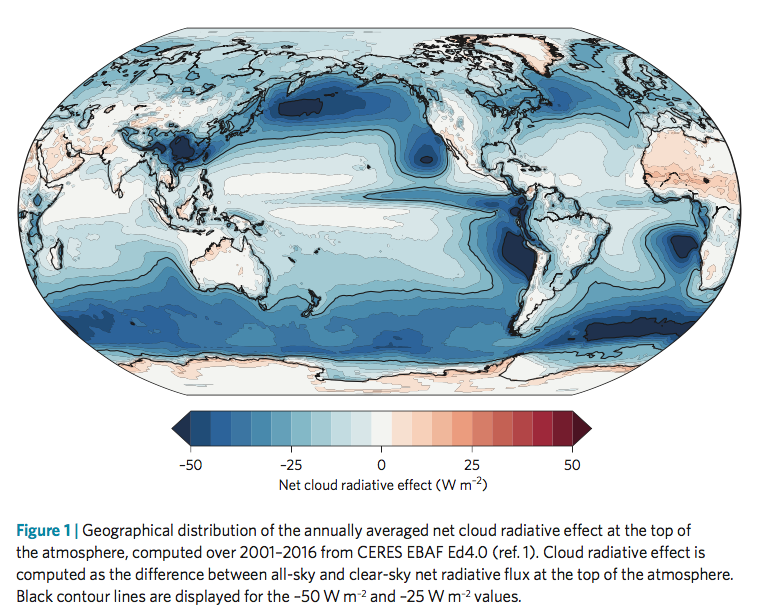 Unlike related previous work, which has employed an ocean general circulation model coupled only to a simple empirical model of atmospheric dynamics, the present work has employed a full coupled atmosphere–ocean general circulation model. This advance allows the feedbacks in the coupled system to be captured as comprehensively as is permitted by contemporary high-performance computing, and it allows the impacts on the atmospheric circulation to be studied. The stochastic fluctuations were introduced as a crude attempt to capture the variability of rapid, sub-grid structures otherwise missing from the model. Experiments have been performed to test the response of the climate system to the stochastic noise. In two experiments, the net fresh water flux and the net heat flux were perturbed separately. Significant changes were detected in the century-mean oceanic mixed-layer depth, sea-surface temperature, atmospheric Hadley circulation, and net upward water flux at the sea surface. 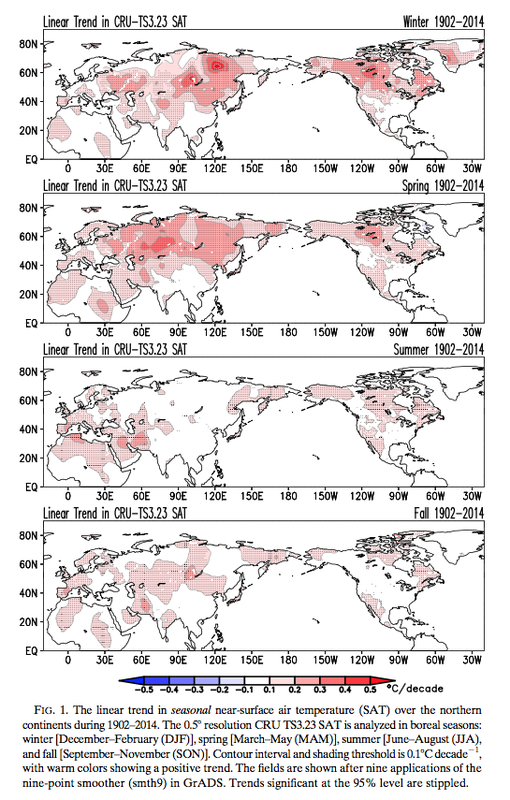 Significant changes were also detected in the ENSO variability. The century-mean changes are summarized schematically in Figure 4. 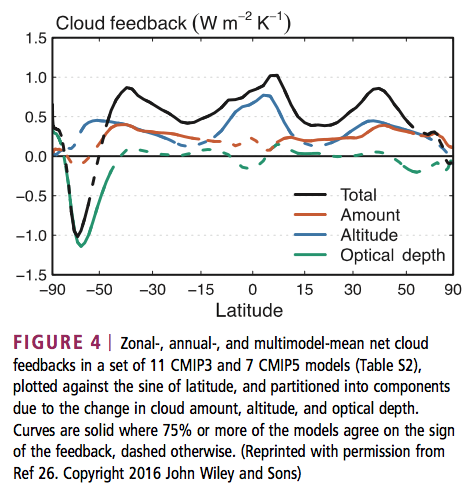 The above findings constitute evidence that noise-induced drift and noise-enhanced variability, which are familiar concepts from simple models, continue to apply in comprehensive climate models with millions of degrees of freedom..
A key element of the paper is that adding random noise changes the mean values. Faster computers are constantly permitting the development of climate models of greater complexity and higher resolution. Therefore, it might be argued that the need for parameterization is being gradually reduced over time. However, it is difficult to envisage any model ever being capable of explicitly simulating all of the climatically important components on all of the relevant time scales. Furthermore, it is known that the impact of the subgrid processes cannot necessarily be made vanishingly small simply by increasing the grid resolution, because information from arbitrarily small scales within the inertial subrange (down to the viscous dissipation scale) will always be able to contaminate the resolved scales in finite time. This feature of the subgrid dynamics perhaps explains why certain systematic errors are common to many different models and why numerical simulations are apparently not asymptoting as the resolution increases. Indeed, the Intergovernmental Panel on Climate Change (IPCC) has noted that the ultimate source of most large-scale errors is that ‘‘many important small- scale processes cannot be represented explicitly in models’’. The major problem with conventional, deterministic parameterization schemes is their assumption that the impact of the subgrid scales on the resolved scales is uniquely determined by the resolved scales. This assumption can be made to sound plausible by invoking an analogy with the law of large numbers in statistical mechanics. According to this analogy, the subgrid processes are essentially random and of sufficiently large number per grid box that their integrated effect on the resolved scales is predictable. In reality, however, the assumption is violated because the most energetic subgrid processes are only just below the grid scale, placing them far from the limit in which the law of large numbers applies. The implication is that the parameter values that would make deterministic parameterization schemes exactly correct are not simply uncertain; they are in fact indeterminate. The question of whether stochastic closure schemes outperform their deterministic counterparts was listed by Williams et al. (2013) as a key outstanding challenge in the field of mathematics applied to the climate system. Adding noise with a mean zero doesn’t create a mean zero effect? The changes to the mean climatological state that were identified in section 3 are a manifestation of what, in the field of stochastic dynamical systems, is called noise-induced drift or noise-induced rectification. This effect arises from interactions between the noise and nonlinearities in the model equations. It permits zero- mean noise to have non-zero-mean effects, as seen in our stochastic simulations. ..to investigate whether climate simulations can be improved by implementing a simple stochastic parameterization of ocean eddies in a coupled atmosphere–ocean general circulation model. We conclude that stochastic ocean perturbations can yield reductions in climate model error that are comparable to those obtained by refining the resolution, but without the increased computational cost. In this latter respect, our findings are consistent with those of Berner et al. (2012), who studied the model error in an atmospheric general circulation model. They reported that, although the impact of adding stochastic noise is not universally beneficial in terms of model bias reduction, it is nevertheless beneficial across a range of variables and diagnostics. They also reported that, in terms of improving the magnitudes and spatial patterns of model biases, the impact of adding stochastic noise can be similar to the impact of increasing the resolution. Our results are consistent with these findings. 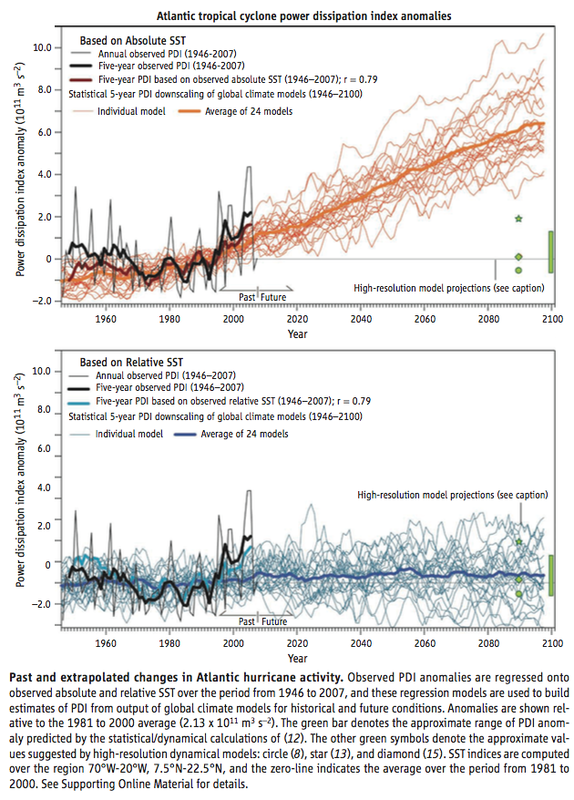 We conclude that oceanic stochastic parameterizations join atmospheric stochastic parameterizations in having the potential to significantly improve climate simulations. And for people who’ve been educated on the basics of fluids on a rotating planet via experiments on the rotating annulus (a 2d model – along with equations – providing great insights into our 3d planet), Testing the limits of quasi-geostrophic theory: application to observed laboratory flows outside the quasi-geostrophic regime, Paul D Williams et al 2010 might be interesting. Some systems have a lot of non-linearity. This is true of climate and generally of turbulent flows. In a textbook that I read some time ago on (I think) chaos, the author made the great comment that usually you start out being taught “linear models” and much later come into contact with “non-linear models”. He proposed that a better terminology would be “real world systems” (non-linear) while “simplistic non-real-world teaching models” were the alternative (linear models). I’m paraphrasing. The point is that most real world systems are non-linear. And many (not all) non-linear systems have difficult properties. The easy stuff you learn – linear systems, aka “simplistic non-real-world teaching models” – isn’t actually relevant to most real world problems, it’s just a stepping stone in giving you the tools to solve the hard problems. Solving these difficult systems requires numerical methods (there is mostly no analytical solution) and once you start playing around with time-steps, parameter values and model resolution you find that the results can be significantly – and sometimes dramatically – affected by the arbitrary choices. With relatively simple systems (like the Lorenz three-equation convection system) and massive computing power you can begin to find the dependencies. But there isn’t a clear path to see where the dependencies lie (of course, many people have done great work in systematizing (simple) chaotic systems to provide some insights). GCMs provide insights into climate that we can’t get otherwise. One way to think about GCMs is that once they mostly agree on the direction of an effect that provides “high confidence”, and anyone who doesn’t agree with that confidence is at best a cantankerous individual and at worst has a hidden agenda. Another way to think about GCMs is that climate models are mostly at the mercy of unverified parameterizations and numerical methods and anyone who does accept their conclusions is naive and doesn’t appreciate the realities of non-linear systems. Life is complex and either of these propositions could be true, along with anything inbetween. The model can’t resolve the actual processes inside the grid. That’s the nature of how finite element analysis works. 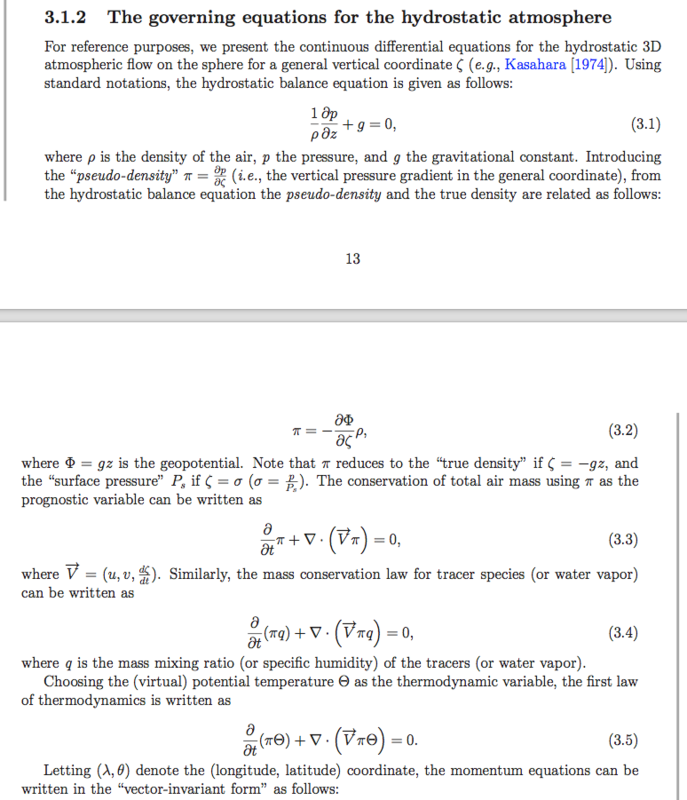 So, of course, the “parameterization schemes” to figure out how much cloud, rain and humidity results from say a warming earth are problematic and very hard to verify. Running higher resolution models helps to illuminate the subject. We can’t run these higher resolution models for the whole earth – instead all kinds of smaller scale model experiments are done which allow climate scientists to see which factors affect the results. Thunderstorms dry out the atmosphere since they produce rainfall. However, their efficiency at drying the atmosphere depends on how they are arranged; take a set of thunderstorms and sprinkle them randomly over the tropics and the troposphere will remain quite moist, but take that same number of thunderstorms and place them all close together in a “cluster” and the atmosphere will be much drier. Previous work has indicated that thunderstorms might start to cluster more as temperatures increase, thus drying the atmosphere and letting more infrared radiation escape to space as aresult – acting as a strong negative feedback on climate, the so-called iris effect. 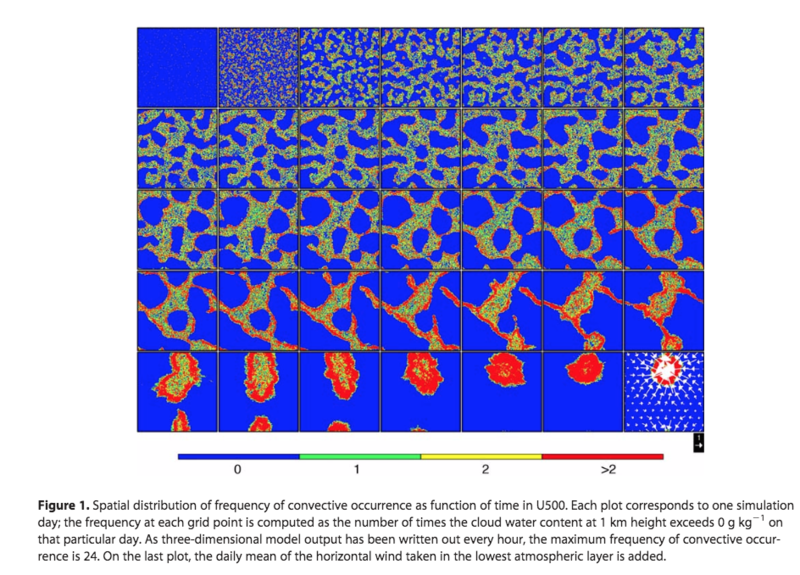 We investigate the clustering mechanisms using 2km grid resolution simulations, which show that strong turbulent mixing of air between thunderstorms and their surrounding is crucial for organization to occur. However, with grid cells of 2 km this mixing is not modelled explicitly but instead represented by simple model approximations, which are hugely uncertain. We show three commonly used schemes differ by over an order of magnitude. 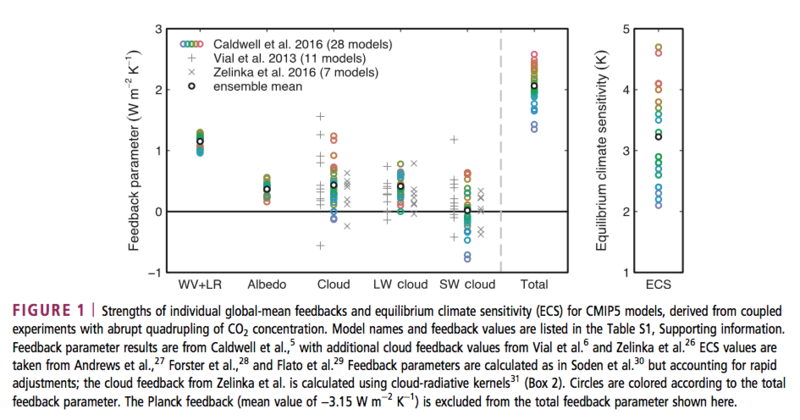 Thus we recommend that further investigation into the climate iris feedback be conducted in a coordinated community model intercomparison effort to allow model uncertainty to be robustly accounted for. In summary, cloud-resolving models with grid sizes of the order of 1 km have revealed many of the potential feed-back processes that may lead to, or enhance, convective organization. It should be recalled however, that these studies are often idealized and involve computational compromises, as recently discussed in Mapes . The computational requirements of RCE experiments that require more than 40 days of integration still largely prohibit horizontal resolutions finer than 1 km. Simulations such as Tompkins [2001c], Bryan et al. , and Khairoutdinov et al. that use resolutions less than 350 m were restricted to 1 or 2 days. 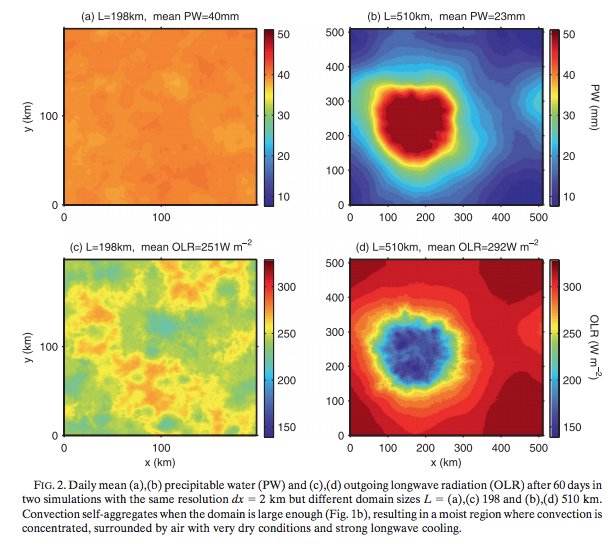 If water vapor entrainment is a factor for either the establishment and/or the amplification of convective organization, it raises the issue that the organization strength in CRMs model using grid sizes of the order of 1 km or larger is likely to be sensitive to the model resolution and simulation framework in terms of the choice of subgrid-scale diffusion and mixing. .. and states that convergence is achieved when the most energetic eddies are well resolved, which is not the case at 2 km, and Craig and Dornbrack  also suggest that resolving clouds requires grid sizes that resolve the typical buoyancy scale of a few hundred meters. The present state of the art of LES is represented by Heinze et al. , integrating a model for the whole of Germany with a 100 m grid spacing, for a period of 4 days. The simulations in this paper also highlight the fact that intricacies of the assumptions contained in the parameterization of small- scale physics can strongly impact the possibility of crossing the threshold from unorganized to organized equilibrium states. The expense of such simulations has usually meant that only one model configuration is used concerning assumptions of small-scale processes such as mixing and microphysics, often initialized from a single initial condition. The potential of multiple equilibria and also an hysteresis in the transition between organized and unorganized states [Muller and Held, 2012], points to the requirement for larger integration ensembles employing a range of initial and boundary conditions, and physical parameterization assumptions. The ongoing requirements of large-domain, RCE numerical experiments imply that this challenge can be best met with a community-based, convective organization model intercomparison project (CORGMIP). It is well known that convection can organize on a wide range of scales. Important examples of organized convection include squall lines, mesoscale convective systems (Emanuel 1994; Holton 2004), and the Madden– Julian oscillation (Grabowski and Moncrieff 2004). 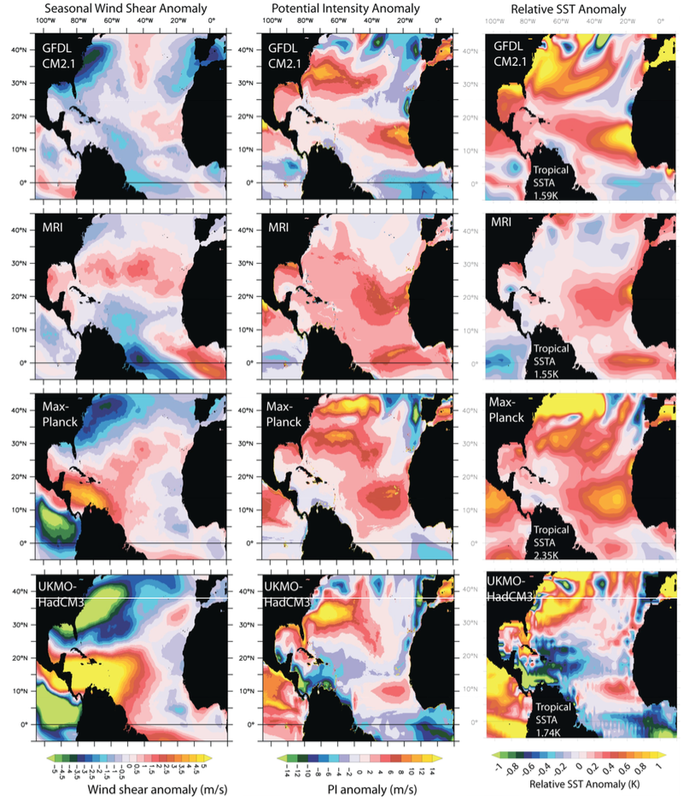 The ubiquity of convective organization above tropical oceans has been pointed out in several observational studies (Houze and Betts 1981; WCRP 1999; Nesbitt et al. 2000).. 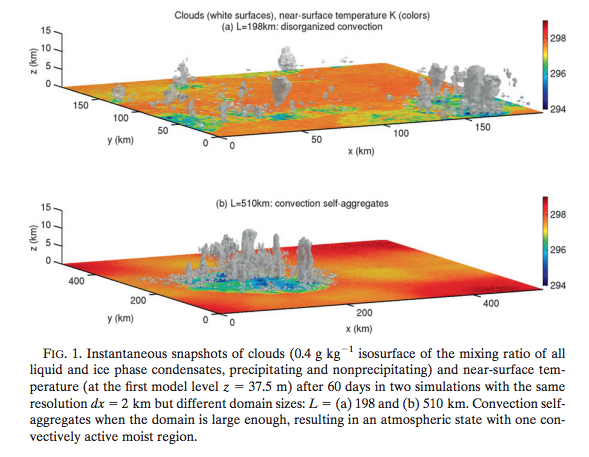 ..Recent studies using a three-dimensional cloud resolving model show that when the domain is sufficiently large, tropical convection can spontaneously aggregate into one single region, a phenomenon referred to as self-aggregation (Bretherton et al. 2005; Emanuel and Khairoutdinov 2010). The final climate is a spatially organized atmosphere composed of two distinct areas: a moist area with intense convection, and a dry area with strong radiative cooling (Figs. 1b and 2b,d). Whether or not a horizontally homogeneous convecting atmosphere in radiative convective equilibrium self-aggregates seems to depend on the domain size (Bretherton et al. 2005). More generally, the conditions under which this instability of the disorganized radiative convective equilibrium state of tropical convection occurs, as well as the feedback responsible, remain unclear. The relevance of self-aggregation to observed convective organization (mesoscale convective systems, mesoscale convective complexes, etc.) requires further investigation. Based on its sensitivity to resolution (Fig. 6a), it may be tempting to see self-aggregation as a numerical artifact that occurs at coarse resolutions, whereby low-cloud radiative feedback organizes the convection. Nevertheless, it is not clear that self-aggregation would not occur at fine resolution if the domain size were large enough. Furthermore, the hysteresis (Fig. 6b) increases the importance of the aggregated state, since it expands the parameter span over which the aggregated state exists as a stable climate equilibrium. The existence of the aggregated state appears to be less sensitive to resolution than the self-aggregation process. 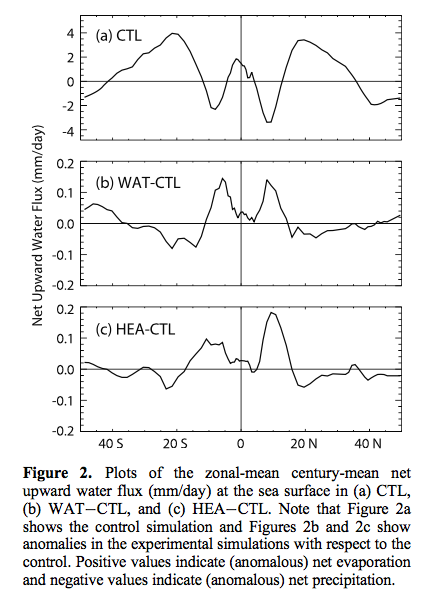 It is also possible that our results are sensitive to the value of the sea surface temperature; indeed, Emanuel and Khairoutdinov (2010) find that warmer sea surface temperatures tend to favor the spontaneous self-aggregation of convection. Current convective parameterizations used in global climate models typically do not account for convective organization. 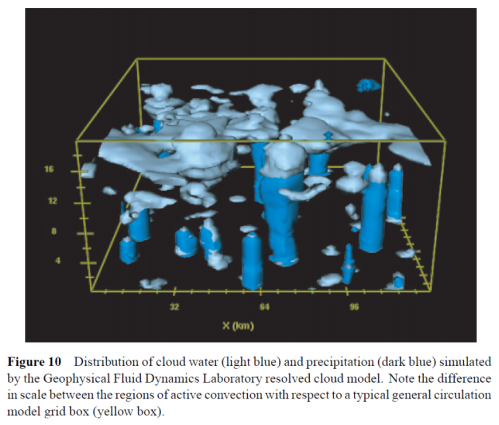 More two-dimensional and three dimensional simulations at high resolution are desirable to better understand self-aggregation, and convective organization in general, and its dependence on the subgrid-scale closure, boundary layer, ocean surface, and radiative scheme used. The ultimate goal is to help guide and improve current convective parameterizations. 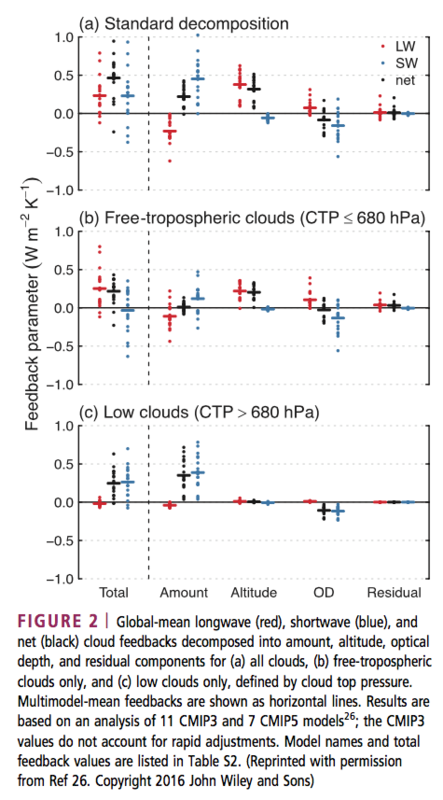 From the results in their paper we might think that self-aggregation of convection was a model artifact that disappears with higher resolution models (they are careful not to really conclude this). Tompkins & Semie 2017 suggested that Muller & Held’s results may be just a dependence on their sub-grid parameterization scheme (see note 1). The novelty of self-aggregation is reflected by the many remaining unanswered questions about its character, causes and effects. 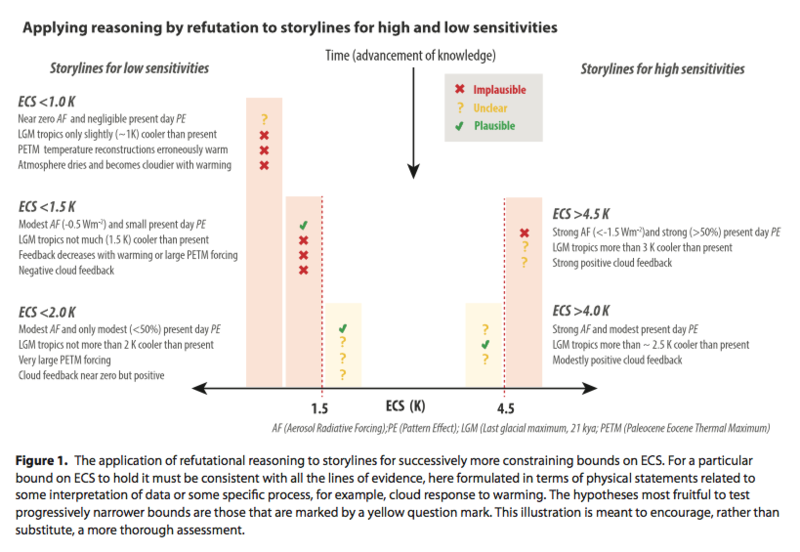 It is clear that interactions between longwave radiation and water vapor and/or clouds are critical: non-rotating aggregation does not occur when they are omitted. Beyond this, the field is in play, with the relative roles of surface fluxes, rain evaporation, cloud versus water vapor interactions with radiation, wind shear, convective sensitivity to free atmosphere water vapor, and the effects of an interactive surface yet to be firmly characterized and understood. The sensitivity of simulated aggregation not only to model physics but to the size and shape of the numerical domain and resolution remains a source of concern about whether we have even robustly characterized and simulated the phenomenon. While aggregation has been observed in models (e.g., global models) in which moist convection is parameterized, it is not yet clear whether such models simulate aggregation with any real fidelity. The ability to simulate self-aggregation using models with parameterized convection and clouds will no doubt become an important test of the quality of such schemes. Understanding self-aggregation may hold the key to solving a number of obstinate problems in meteorology and climate. There is, for example, growing optimism that understanding the interplay among radiation, surface fluxes, clouds, and water vapor may lead to robust accounts of the Madden Julian oscillation and tropical cyclogenesis, two long-standing problems in atmospheric science. Indeed, the difficulty of modeling these phenomena may be owing in part to the challenges of simulating them using representations of clouds and convection that were not designed or tested with self-aggregation in mind. Perhaps most exciting is the prospect that understanding self-aggregation may lead to an improved understanding of climate. 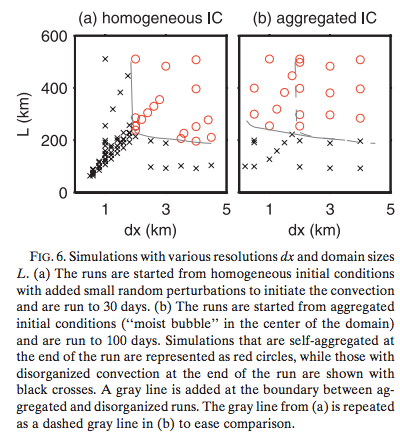 The strong hysteresis observed in many simulations of aggregation—once a cluster is formed it tends to be robust to changing environmental conditions—points to the possibility of intransitive or almost intransitive behavior of tropical climate. The strong drying that accompanies aggregation, by cooling the system, may act as a kind of thermostat, if indeed the existence or degree of aggregation depends on temperature. Whether or how well this regulation is simulated in current climate models depends on how well such models can simulate aggregation, given the imperfections of their convection and cloud parameterizations. Clearly, there is much exciting work to be done on aggregation of moist convection. Climate science asks difficult questions that are currently unanswerable. This goes against two myths that circulate media and many blogs: on the one hand the myth that the important points are all worked out; and on the other hand the myth that climate science is a political movement creating alarm, with each paper reaching more serious and certain conclusions than the paper before. Reading lots of papers I find a real science. What is reported in the media is unrelated to the state of the field. At the heart of modeling climate is the need to model turbulent fluid flows (air and water) and this can’t be done. Well, it can be done, but using schemes that leave open the possibility or probability that further work will reveal them to be inadequate in a serious way. Running higher resolution models helps to answer some questions, but more often reveals yet new questions. If you have a mathematical background this is probably easy to grasp. If you don’t it might not make a whole lot of sense, but hopefully you can see from the papers that very recent papers are not yet able to resolve some challenging questions. These results consistently show that the high-resolution model significantly improves the representation of small- to mesoscale variability. This generates confidence in the ability to simulate moist processes with fidelity. When using the model output to assess turbulent and moist processes and to evaluate and develop climate model parametrizations, it seems relevant to make use of the highest resolution, since the coarser-resolved model variants fail to reproduce aspects of the variability. Note 1: The equations for turbulent fluid flow are insoluble due to the computing resources required. Energy gets dissipated at the scales where viscosity comes into play. In air this is a few mm. So even much higher resolution models like the cloud resolving models (CRMs) with scales of 1km or even smaller still need some kind of parameterizations to work. For more on this see Turbulence, Closure and Parameterization. In Part Five – More on Tuning & the Magic Behind the Scenes and also in the earlier Part Four we looked at the challenge of selecting parameters in climate models. A recent 2017 paper on this topic by Frédéric Hourdin and colleagues is very illuminating. One of the co-authors is Thorsten Mauritsen, the principal author of the 2012 paper we reviewed in Part Four. Another co-author is Jean-Christophe Golaz, the principal author of the 2013 paper we reviewed in Part Five. The topics are similar but there is some interesting additional detail and commentary. The paper is open and, as always, I recommend reading the whole paper. One of the key points is that climate models need to be specific about their “target” – were they trying to get the model to match recent climatology? top of atmosphere radiation balance? last 100 years of temperature trends? If we know that a model was developed with an eye on a particular target then it doesn’t demonstrate model skill if they get that target right. Because of the uncertainties in observations and in the model formulation, the possible parameter choices are numerous and will differ from one modeling group to another. These choices should be more often considered in model intercomparison studies. 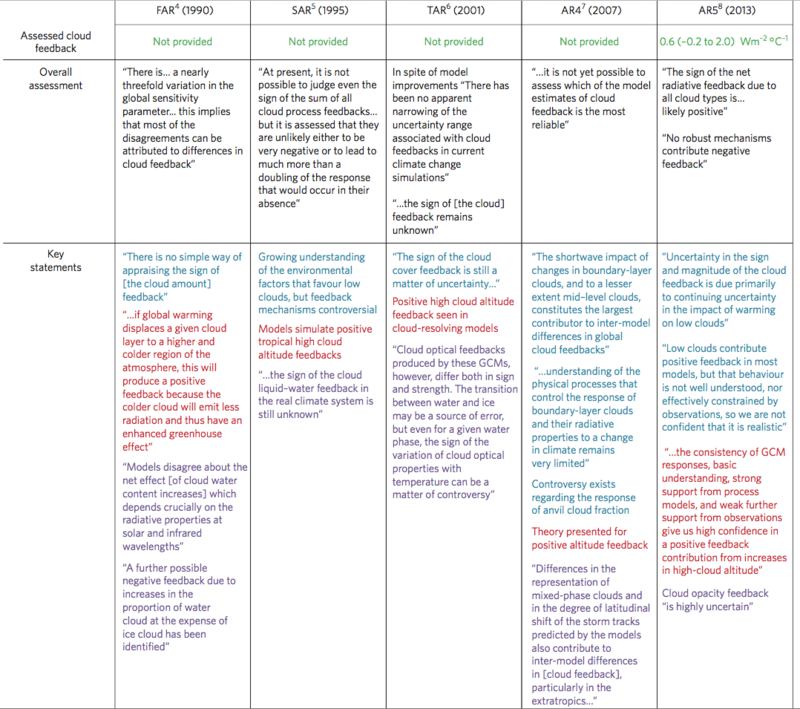 The diversity of tuning choices reflects the state of our current climate understanding, observation, and modeling. It is vital that this diversity be maintained. It is, however, important that groups better communicate their tuning strategy. In particular, when comparing models on a given metric, either for model assessment or for understanding of climate mechanisms, it is essential to know whether some models used this metric as tuning target. They comment on the paper by Jeffrey Kiehl from 2007 (referenced in The Debate is Over – 99% of Scientists believe Gravity and the Heliocentric Solar System so therefore..) which showed how models with higher sensitivity to CO2 have higher counter-balancing negative forcing from aerosols. 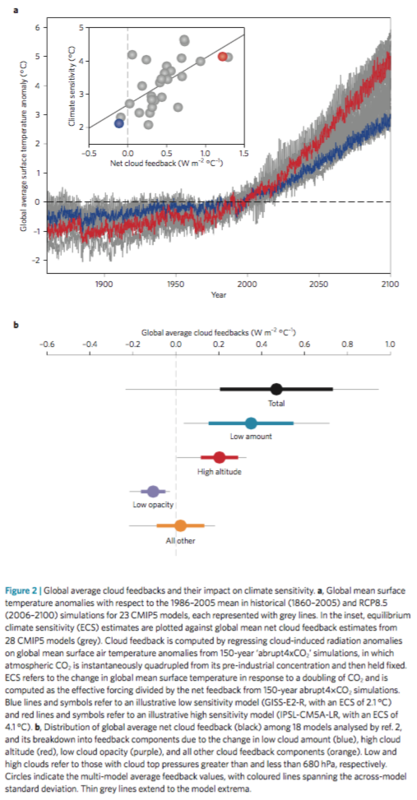 The question of whether the twentieth-century warming should be considered a target of model development or an emergent property is polarizing the climate modeling community, with 35% of modelers stating that twentieth-century warming was rated very important to decisive, whereas 30% would not consider it at all during development. Some view the temperature record as an independent evaluation dataset not to be used, while others view it as a valuable observational constraint on the model development. Likewise, opinions diverge as to which measures, either forcing or ECS, are legitimate means for improving the model match to observed warming. The question of developing toward the twentieth- century warming therefore is an area of vigorous debate within the community.. 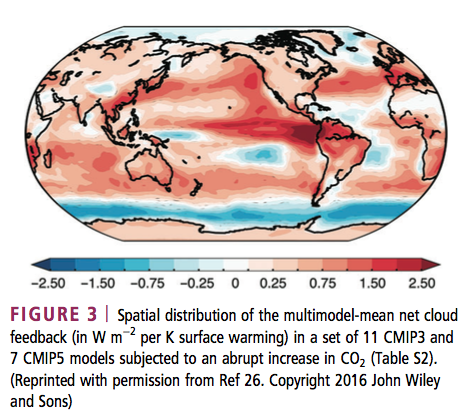 ..The fact that some models are explicitly, or implicitly, tuned to better match the twentieth-century warming, while others may not be, clearly complicates the interpretation of the results of combined model ensembles such as CMIP. The diversity of approaches is unavoidable as individual modeling centers pursue their model development to seek their specific scientific goals. It is, however, essential that decisions affecting forcing or feedback made during model development be transparently documented. And so, onto another recent paper by Sumant Nigam and colleagues. They review the temperature trends by season over the last 100 years and review that against models. They look only at the northern hemisphere over land, due to the better temperature dataset available (compared with the southern hemisphere). 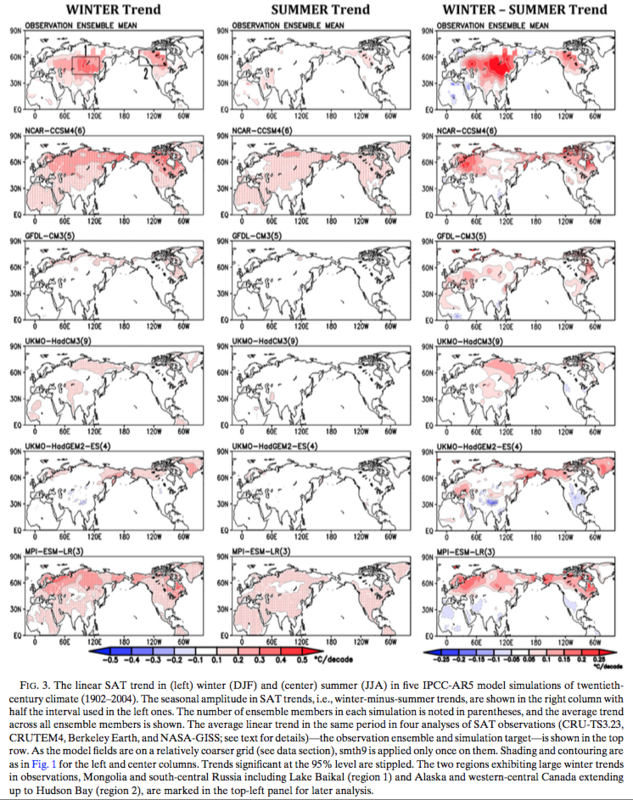 The urgent need for shifting the evaluative and diagnostic focus away from the customary annual mean toward the seasonal cycle of secular warming is manifest in the inability of the leading climate models (whose simulations inform the IPCC’s Fifth Assessment Report) to generate realistic and robust (large signal-to noise ratio) twentieth-century winter and summer SAT trends over the northern continents. The large intra-ensemble SD of century-long SAT trends in some IPCC AR5 models (e.g., GFDL-CM3) moreover raises interesting questions: If this subset of climate models is realistic, especially in generation of ultra-low-frequency variability, is the century-long (1902–2014) linear trend in observed SAT—a one-member ensemble of the climate record—a reliable indicator of the secular warming signal? I’ve commented a number of times in various articles – people who don’t read climate science papers often have some idea that climate scientists are monolithically opposed to questioning model results or questioning “the orthodoxy”. This is contrary to what you find if you read lots of papers. It might be that press releases that show up in The New York Times, CNN or the BBC (or pick another ideological bellwether) have some kind of monolithic sameness but this just demonstrates that no one interested in finding out anything important (apart from the weather and celebrity news) should ever watch/read media outlets. The relative contribution of both mechanisms to the observed seasonality in century-long SAT trends needs further assessment because of uncertainties in the diagnosis of evapotranspiration and sea level pressure from the century-long observational records. Climate system models—ideal tools for investigation of mechanisms through controlled experimentation—are unfortunately not yet ready given their inability to simulate the seasonality of trends in historical simulations. Their investigation digs into evapotranspiration – the additional water vapor, available from plants, to be evaporated and therefore to remove heat from the surface during the summer months. 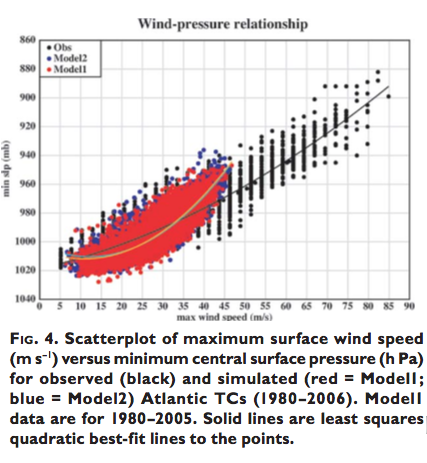 “All models are wrong but some are useful” – a statement attributed to a modeler from a different profession (statistical process control) and sometimes quoted also by climate modelers. This is always a good way to think about models. 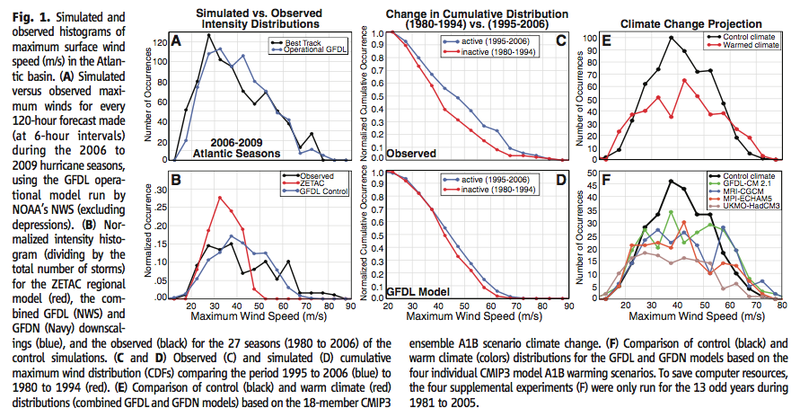 Perhaps the inability of climate models to reproduce seasonal trends is inconsequential – or perhaps it is important. Models fail on many levels. The question is why, and the answers lead to better models. Climate science is a real science, contrary to the claims of many people who don’t read much climate science papers, because many published papers ask important and difficult questions, and critique the current state of the science. That is, falsifiability is being addressed. These questions might not become media headlines, or even make it into the Summary for Policymakers in IPCC reports, but papers with these questions are not outliers. I found both of these papers very interesting. Hourdin et al because they ask valuable questions about how models are tuned, and Nigam et al because they point out that climate models do a poor job of reproducing an important climate trend (seasonal temperature) which provides an extra level of testing for climate models.